No axes through the door here, just a quiet day at the office. 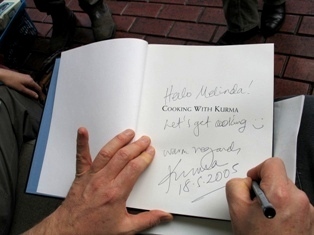 Oh, and if you'd like a signed copy of any of my cookbooks, I have a fresh batch in stock. Just send a comment through to this posting, and I'll arrange to post you a copy anywhere in Australia.